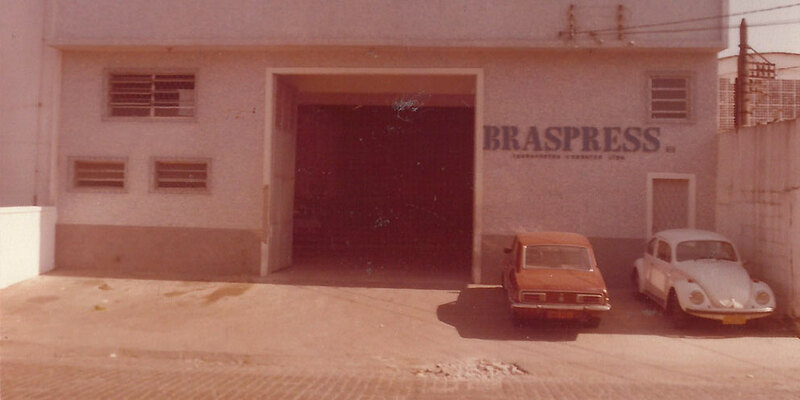 For more than 40 years, BRASPRESS has been building a history of innovation and professionalism in order to provide parcel services of excellence. Know more about the main milestones of this winning trajectory. 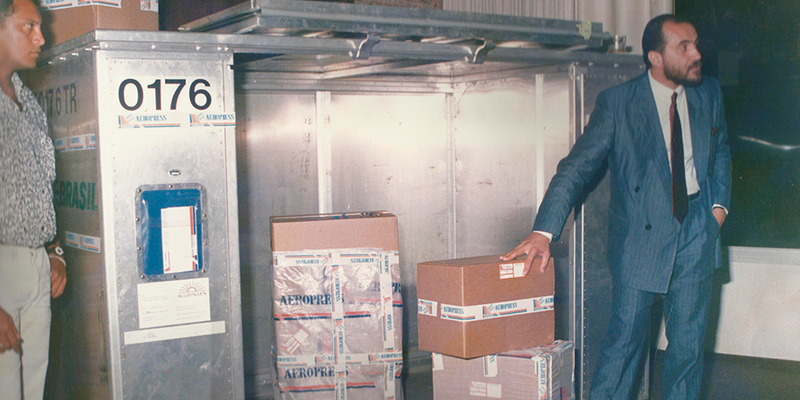 Company founded on July 1, 1977. 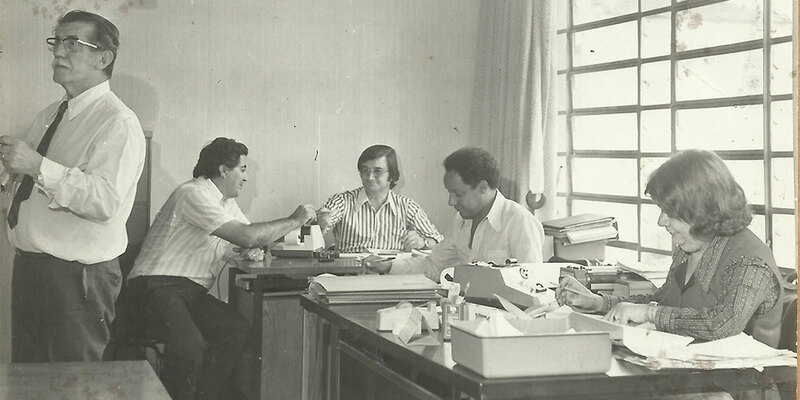 Young Urubatan Helou invites his friend Milton Domingues Petri to be his business partner. 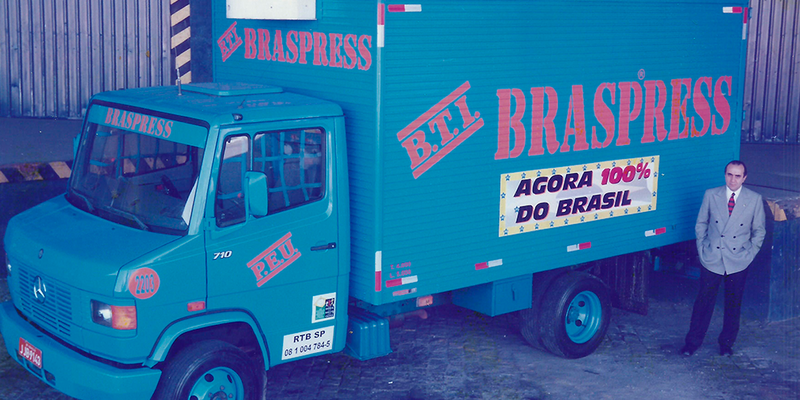 Established at Rua São Quirino, 50, Vila Guilherme (São Paulo), the company’s assets are a telephone, a van and an old f350. 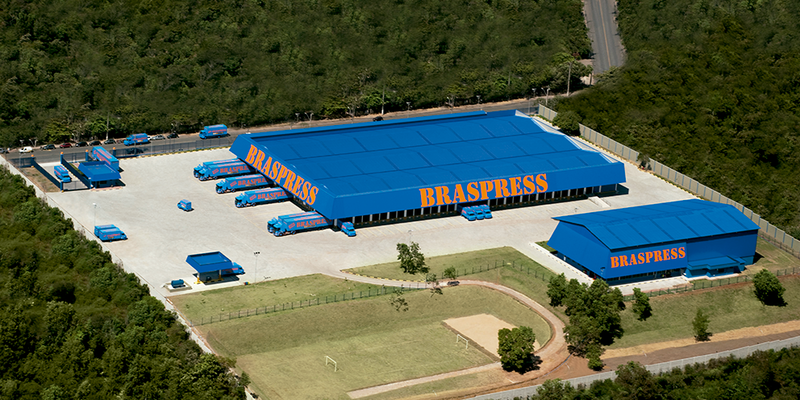 Opening of BRASPRESS's first branches in Curitiba and Belo Horizonte. 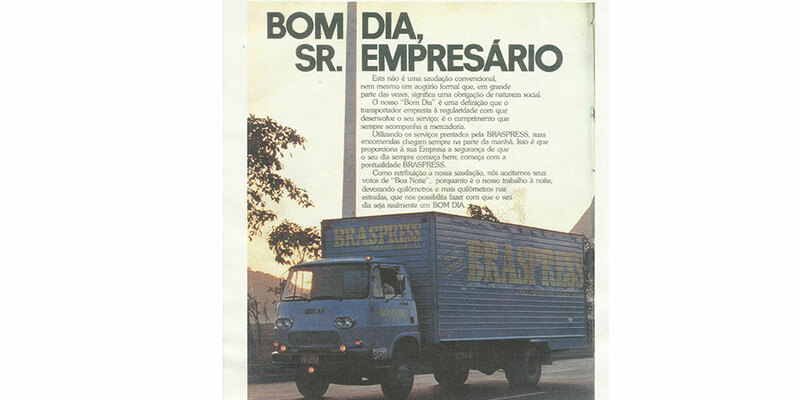 BRASPRESS publishes its first advertisement piece in Transporte Moderno (Modern Transportation) Magazine. 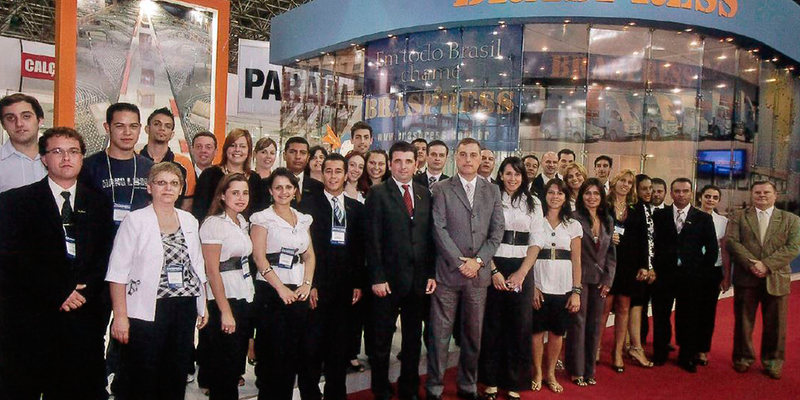 Expansion plans continue with the opening of the Rio de Janeiro branch. 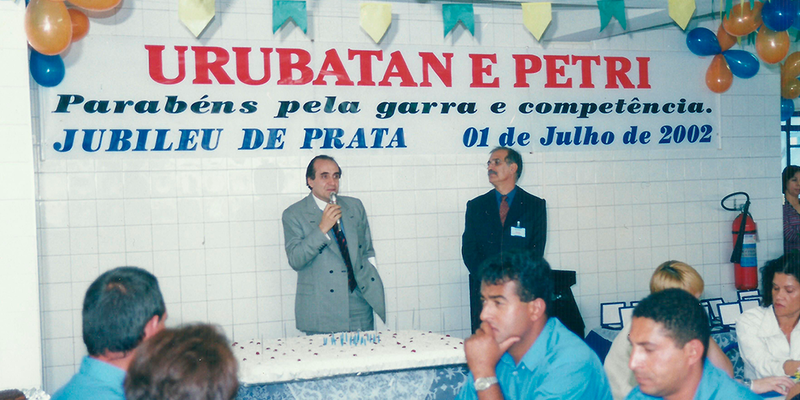 Opening of the first maintenance shop, which now has a car dedicated to maintenance services. Urubatan Helou makes his first study trip to the USA to participate in the 1st Congress of the World Road Transport Organization (IRU). 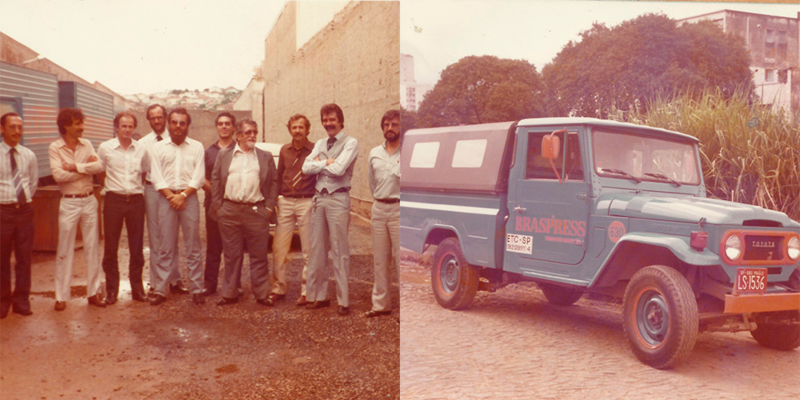 Urubatan travels with other Brazilian businessmen. 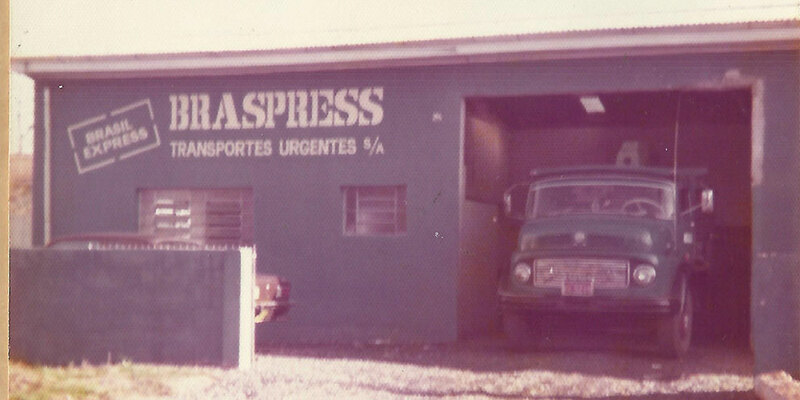 With the presence of Urubatan Helou BRASPRESS’ airline company, Aeropress, is inaugurated in the city of Manaus, in the state of Amazonas. 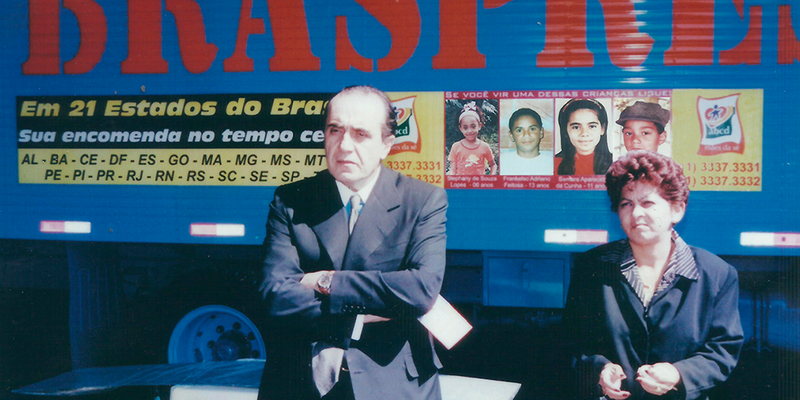 On August 19, 1993, the company’s headquarters moves to a new address at Rua Sublimação, 33 (Vila Maria, São Paulo), where it is based until August 2000. 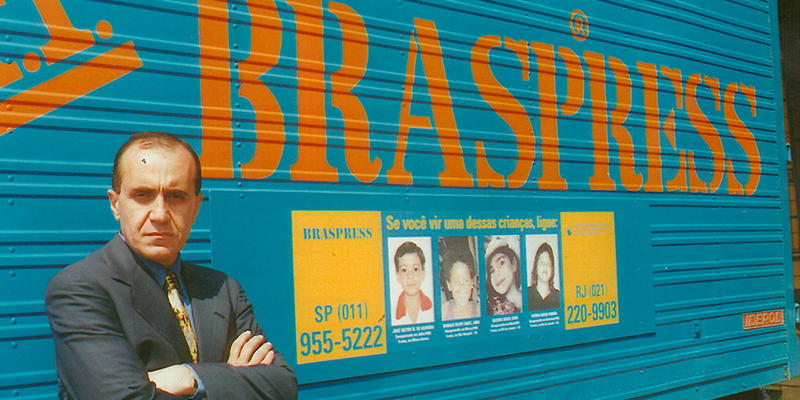 BRASPRESS displays pictures of missing children in its fleet as part of one of its social responsibility campaigns. 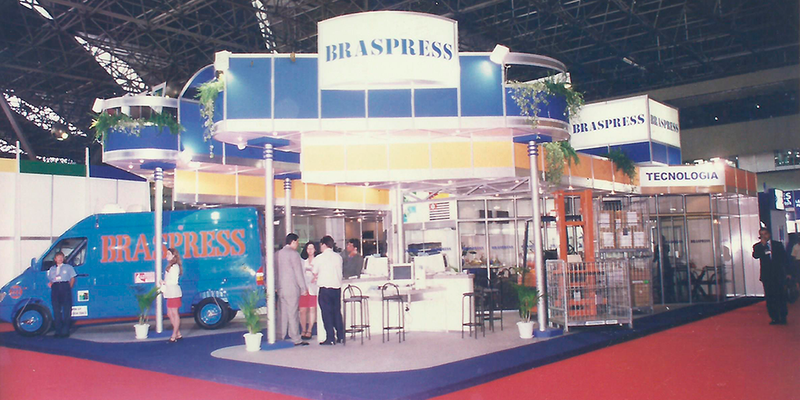 On October, BRASPRESS takes part, for the first time, in the country’s largest transportation fair, the FENATRAN. 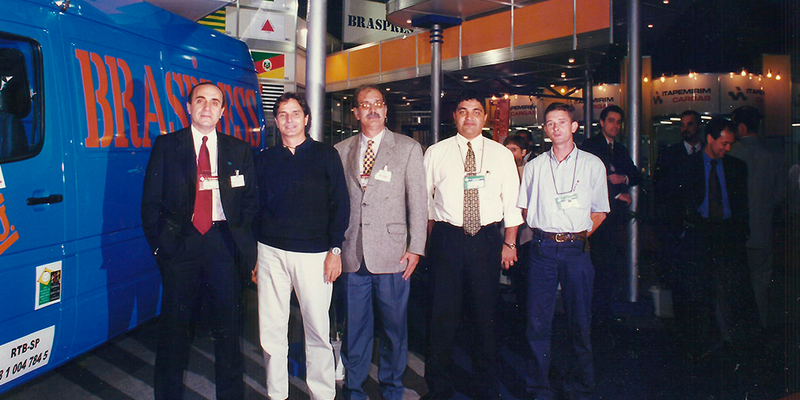 At FENATRAN, Brazil’s National Transportation Fair, BRASPRESS acquires 40 Mercedes Benz trucks and receives MBB director, André Luiz, Ubiraci and Paulo Lelis from the Tapajós Concessionary, the company's traditional suppliers. 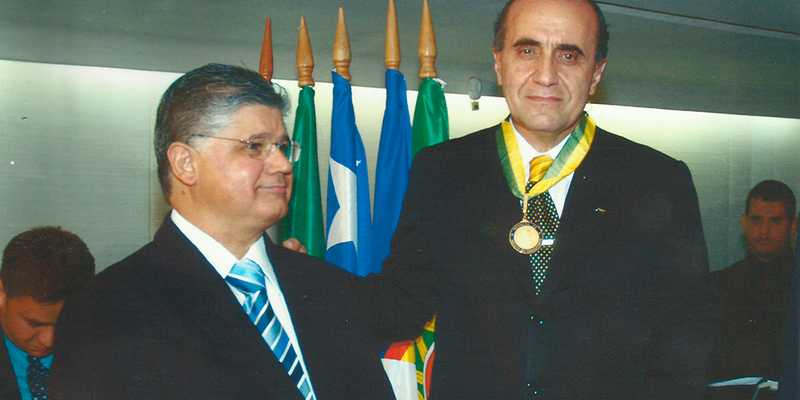 Urubatan Helou’s business determination is recognized with the Medal of Merit Adalberto Panzan. 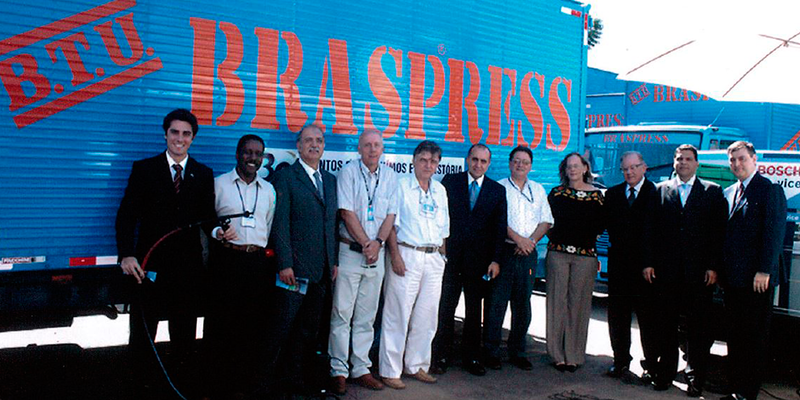 BRASPRESS completes 25 years of activities with Urubatan Helou as Director President and Milton Domingues Petri as Director Vice President. 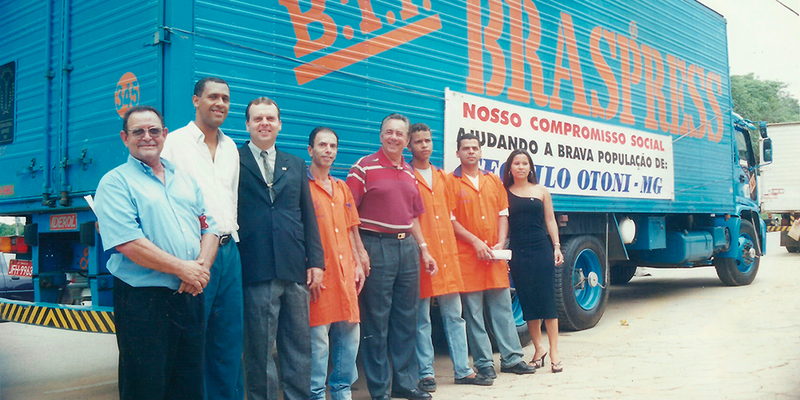 Expansion of activities to the Northeast of Brazil, with the opening of branches in Salvador, Maceió, Aracaju, Recife, João Pessoa, Natal, Fortaleza, São Luís and Teresina, with an investment of 3.5 million Reais. 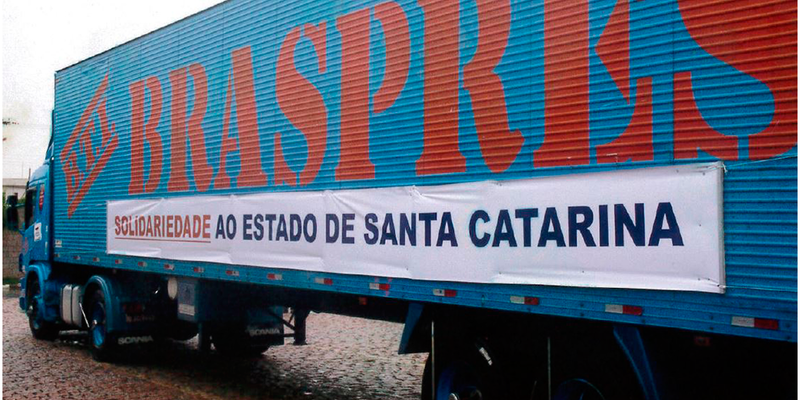 BRASPRESS sends 4.5 tons of food to the population of Teófilo Otoni, in Minas Gerais after floods punish the city. 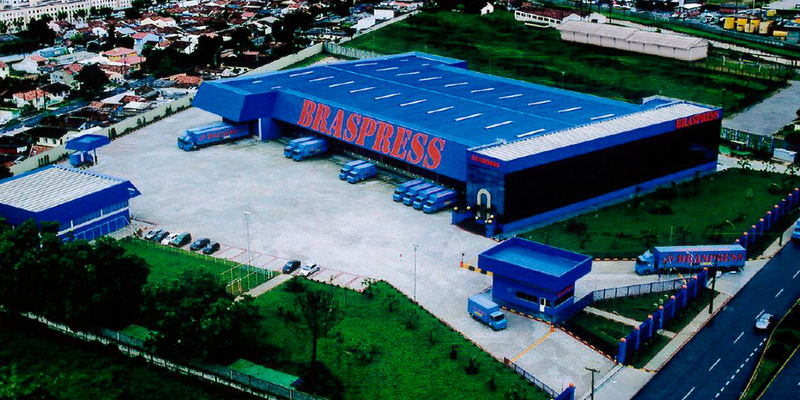 BRASPRESS completes its operational network with its cross-country operations. 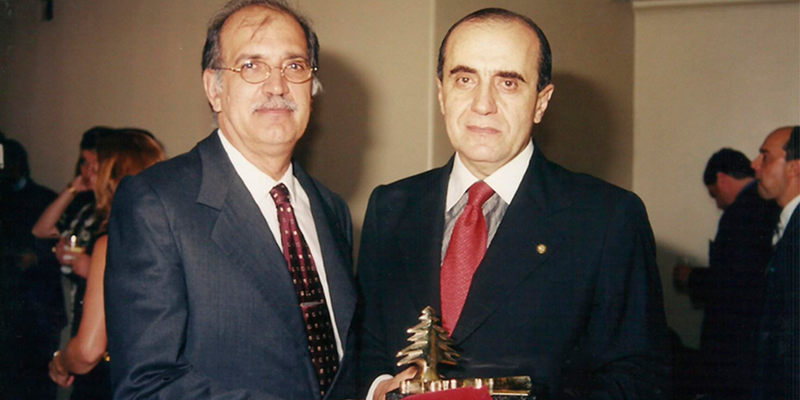 Urubatan Helou is honored for his Entrepreneurship at São Paulo’s city hall during the Solemn Session celebrating Lebanon’s 60th Anniversary of independence. 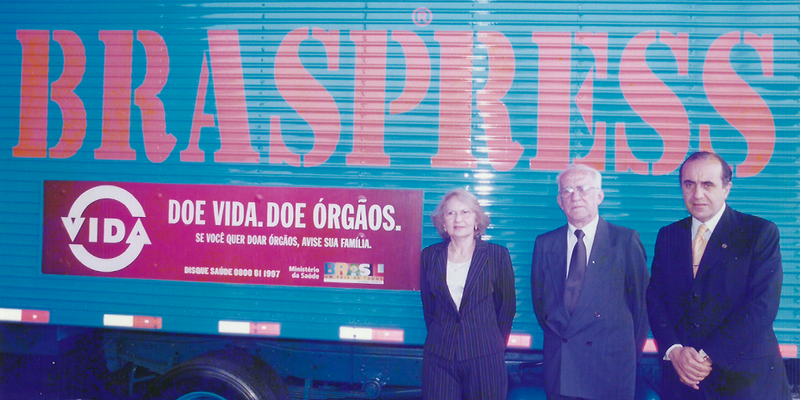 BRASPRESS signs a partnership with the Mães da Sé (Mothers of Sé) NGO to display pictures of missing children on its trucks and direct mail. 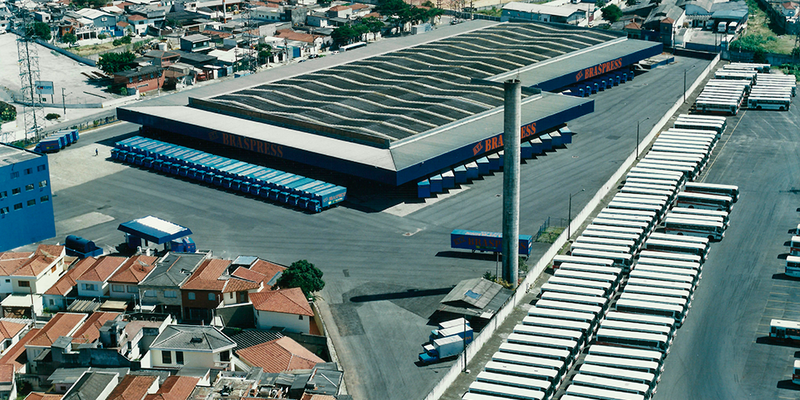 In September, Latin America’s largest Parcel Sorter is inaugurated in São Paulo with an investment of 6 million Dollars. 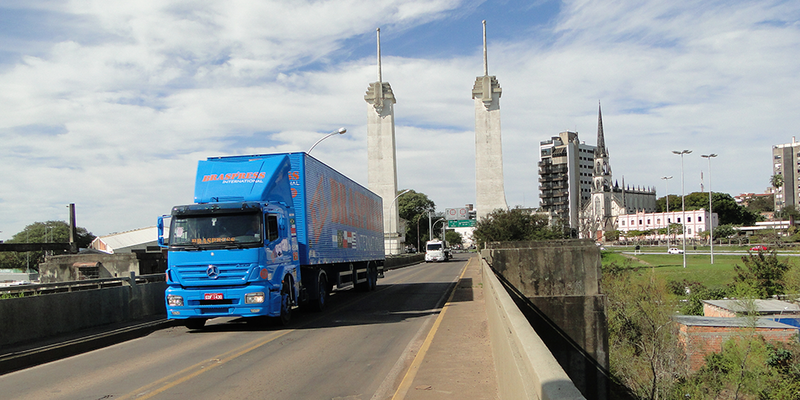 Branches in Porto Alegre, Belém and Manaus are opened, as well as in the cities of Nova Friburgo (RJ), Uruguaiana (RS), Santo Ângelo (RS) and Colatina (ES). In a partnership with the Ministry of Health, BRASPRESS adopts a new social responsibility campaign by displaying placards on its trucks referring to organ donation. 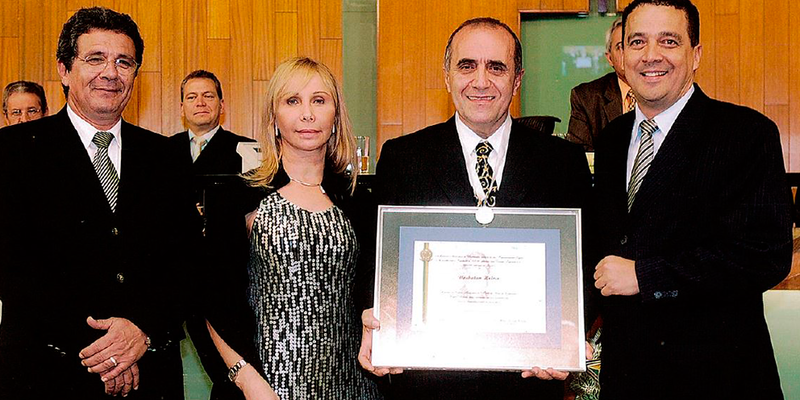 Urubatan Helou is elected National Leader in the Transportation Sector by the Gazeta Mercantil newspaper. 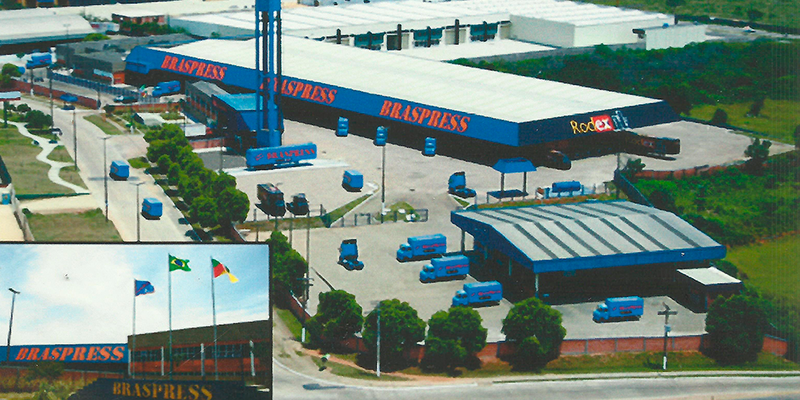 In an auction BRASPRESS acquires its current headquarters building, located in Vila Guilherme, for 23 million Reais. 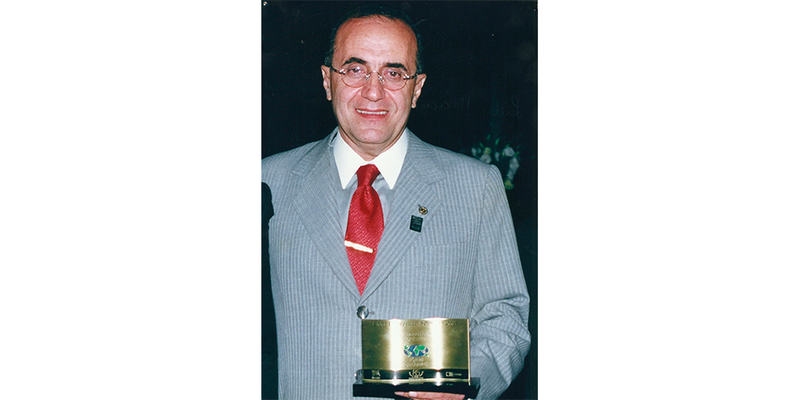 Urubatan Helou receives the Order of Merit of Transport - JK Medal, from Brazil’s National Confederation of Transport (CNT), in Brasília. 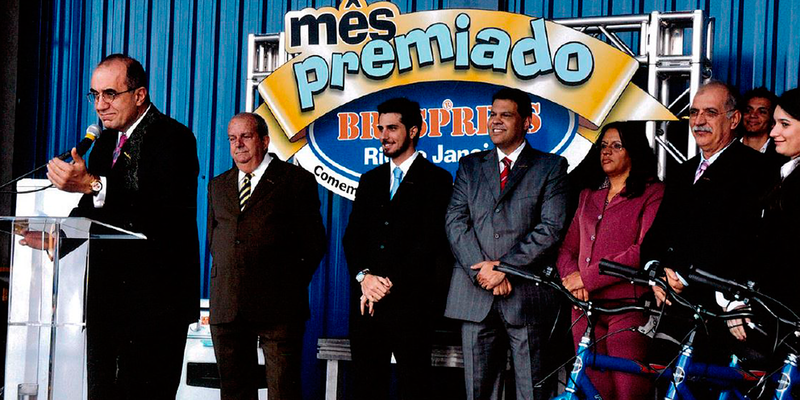 The Ribeirão Preto (SP) terminal is inaugurated based on the Plan of verticalization. 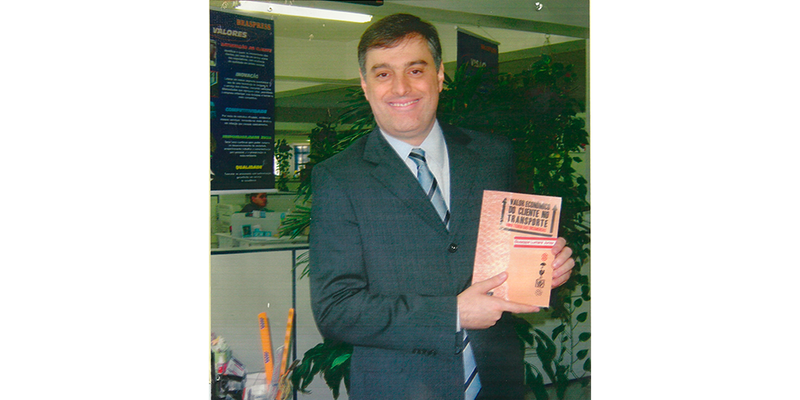 The book “Valor Econômico do Cliente no Transporte – uma teoria de encomendas” (Customer’s Economic Value in Transportation – A parcel theory) by Giuseppe Lumare Junior, BRASPRESS’ Commercial Director is launched through Pearson Education Publishing Company. 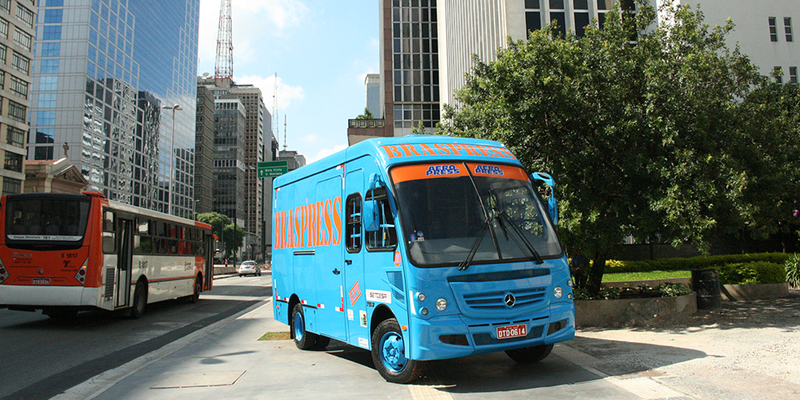 As president of SETCESP, Cargo Transporters Union of São Paulo, Urubatan Helou created a new vehicle called SETCESP URBANO with a new supply concept. The vehicle became known as “Urubavan” and was released on June 20. 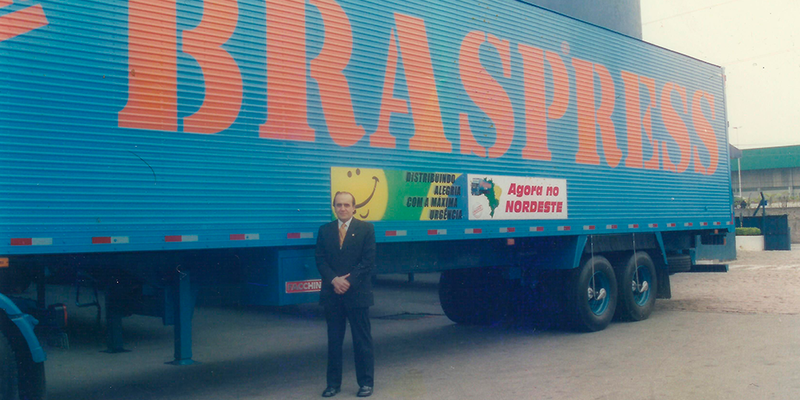 BRASPRESS carries 218 tons of donations for victims of the floods in the state of Santa Catarina. 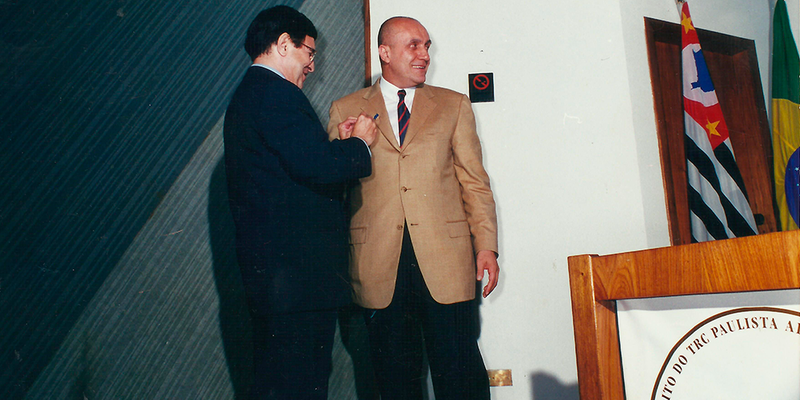 The City Hall of Uberlândia (MG) honors Urubatan Helou with the Order of Merit "Virgílio Galassi". 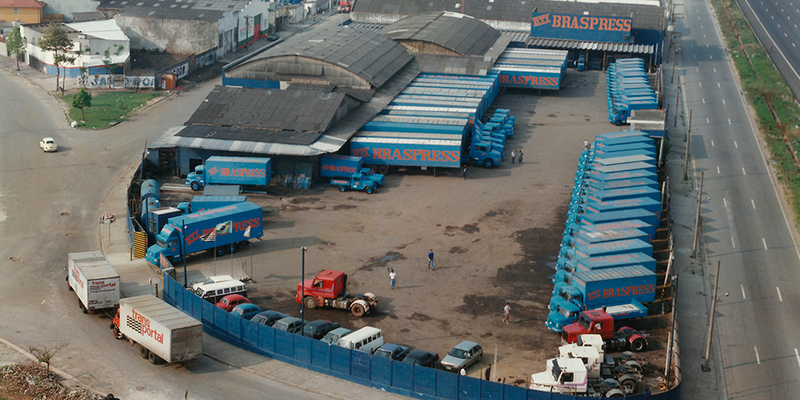 The Environmental Sanitation Technology Company of the state of São Paulo and BRASPRESS carry out the Diesel Opacity Assessment Program on 232 trucks of the company's fleet. 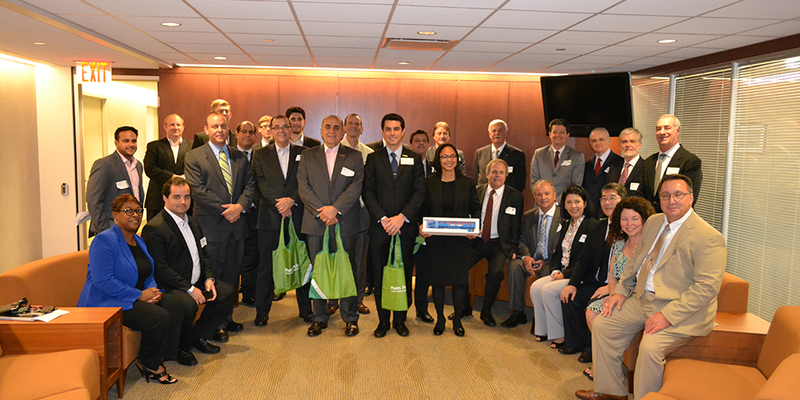 50 Brazilian businessmen participate in the 2nd largest logistics fair in the United States, held in Chicago (USA). 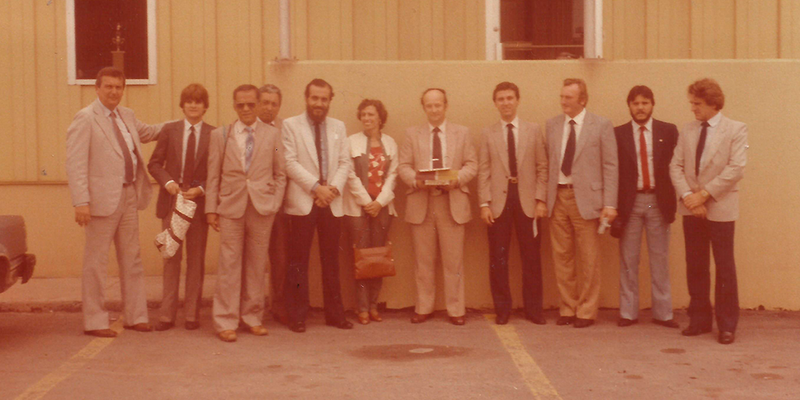 BRASPRESS’ Urubatan Helou (Director President), Milton Domingues Petri (Vice President), Luiz Carlos Lopes (Operations Director), Tayguara Helou (Controller) and Juliana Petri (Engineer and Automation Manager) were present. 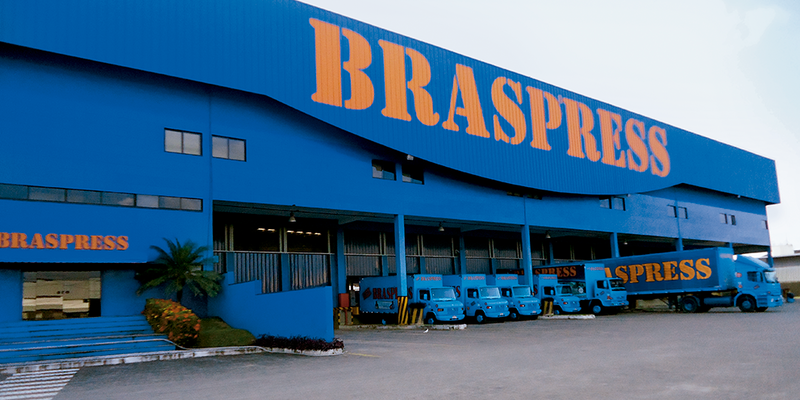 BRASPRESS participates for the first time in COUROMODA - Footwear, Sporting Goods and Leather Goods Trade Show, in São Paulo. 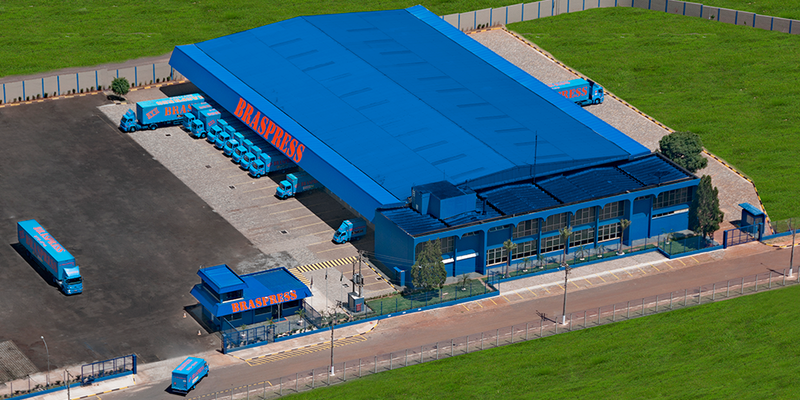 With an investment of 35 million Reais, the company inaugurates in the state of Rio de Janeiro, the largest cargo terminal in Latin America with a SORTER (Automated Parcel Sorting System), breaking its previous record - the terminal of São Paulo. 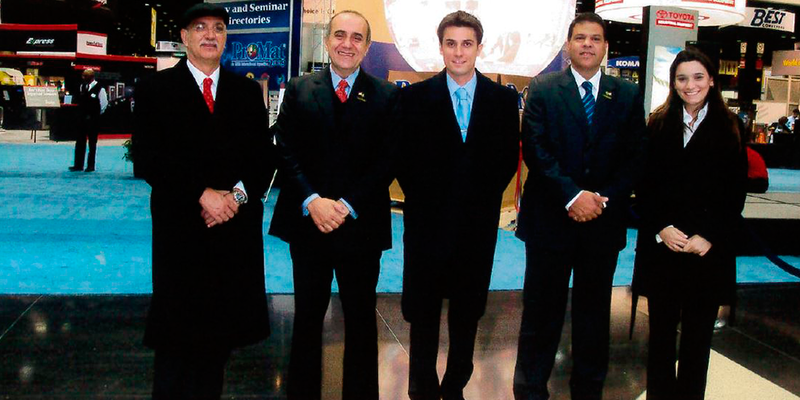 Inauguration of the Curitiba Terminal, with 33 thousand square meters of total area and investment of 20 million Reais. 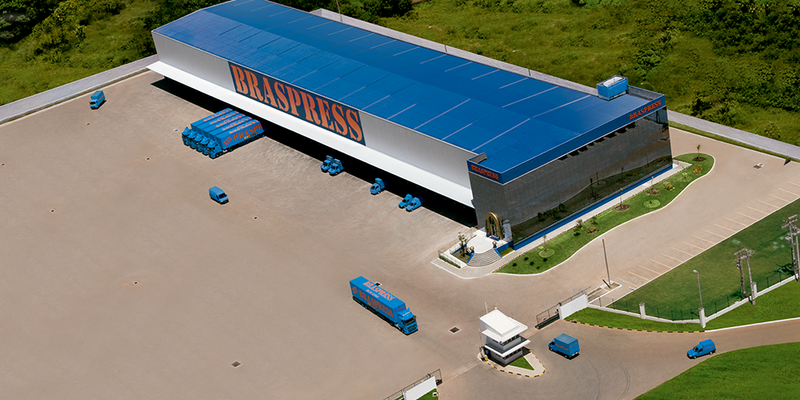 BRASPRESS inaugurates the CAOB, Operational Support Center, in Barueri (SP) with 27 thousand square meters. 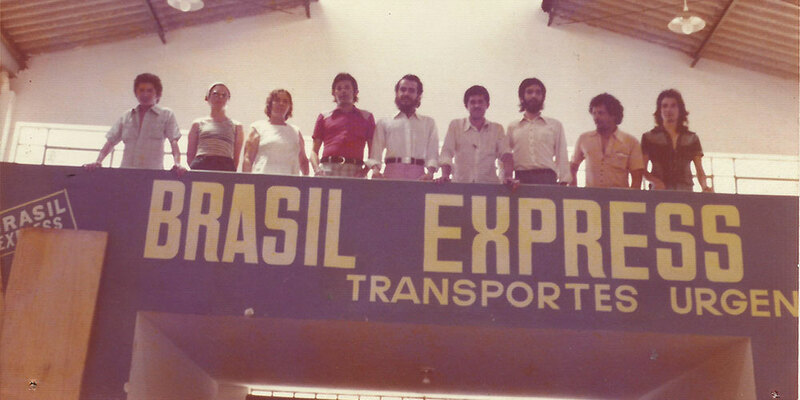 Opening of new terminals in Campinas (SP) and Sorocaba (SP). The terminal of Resende (RJ) is inaugurated, alongside the Presidente Dutra Highway, which connects the country’s two largest cities, São Paulo and Rio de Janeiro, with a total area of 7,200 square meters and an investment of 6 million Reais. With a 12 million Reais investment, the new terminal in Vitoria’s (ES) metropolitan area is inaugurated. Contagem’s (MG) hub is expanded the same year. The largest parcel transportation structure is inaugurated in Fortaleza, with an area of 15 thousand square meters and 104 simultaneous docks. 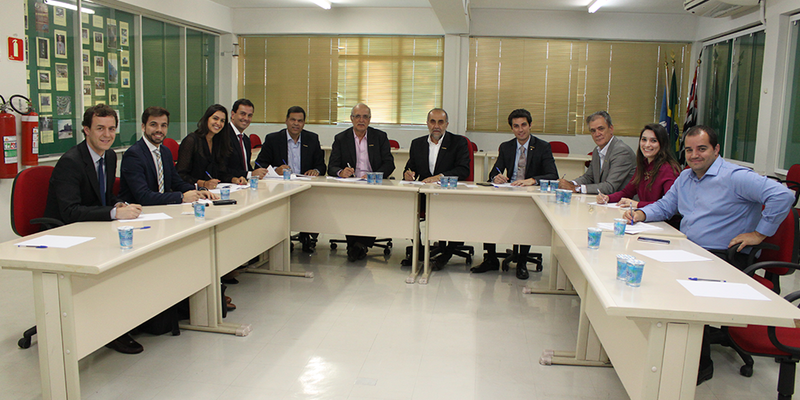 The Director of Development and New Businesses, Tayguara Helou, coordinates the entourage of 17 entrepreneurs and technicians from São Paulo’s municipal government and the University of São Paulo in visits to companies, entities and public authorities of New York. 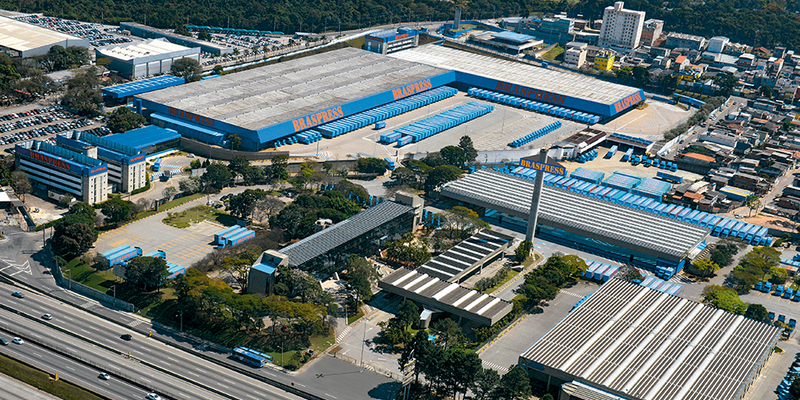 A 43 million dollar contract is signed with Dutch company Vanderlande Industries to acquire a 5.3 kilometer SORTER (Automated Parcel Sorting System) for the company's new headquarters in Guarulhos (SP), once again beating its own record. 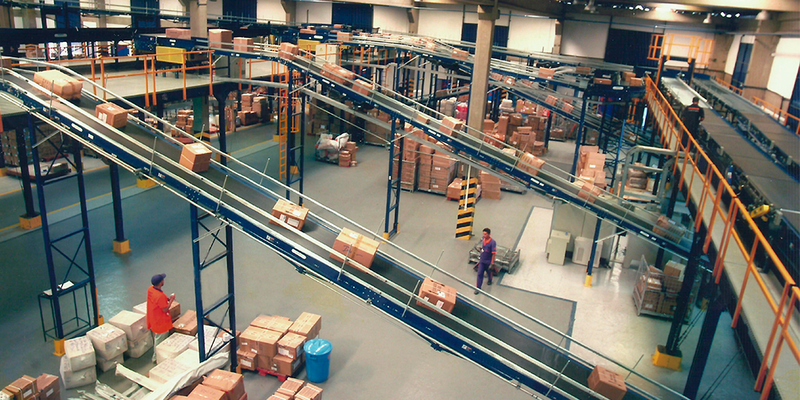 The automation of Guarulhos is now the largest in Latin America. A new terminal is inaugurated in Florianopolis to serve 17 cities in the state of Santa Catarina. 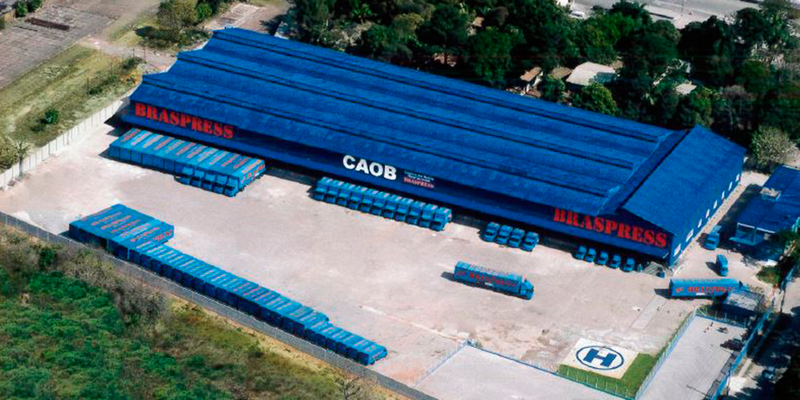 The new terminal in the city of Cascavel in the state of Parana is inaugurated with a total area of 7 thousand square meters and 22 simultaneous loading and unloading docks to serve 61 municipalities. 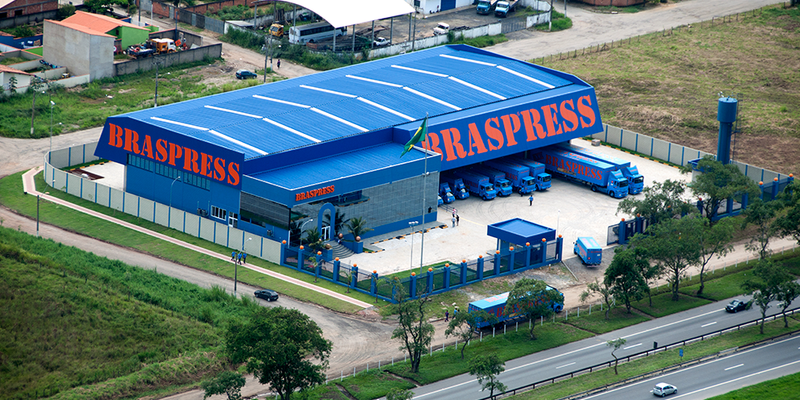 BRASPRESS invests 3 million Reais in expanding its products and services portfolio. Among its projects is the INTER NORDESTE, which integrates the Northeastern states through three large hubs: Feira de Santana (BA), Recife (PE) and Fortaleza (CE). 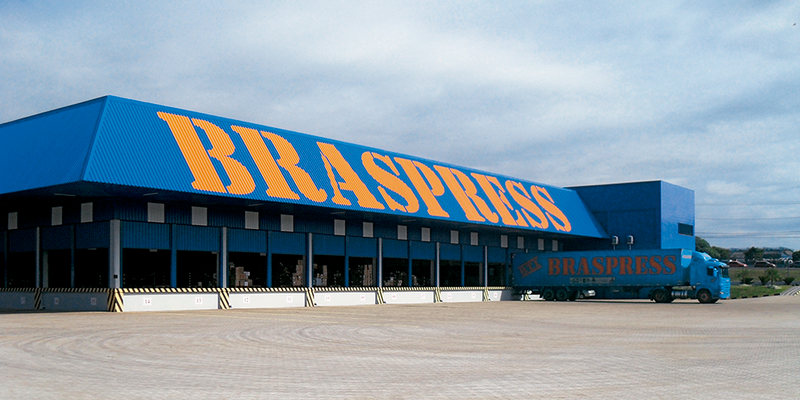 BRASPRESS inaugurates the largest logistics hub in Latin America. 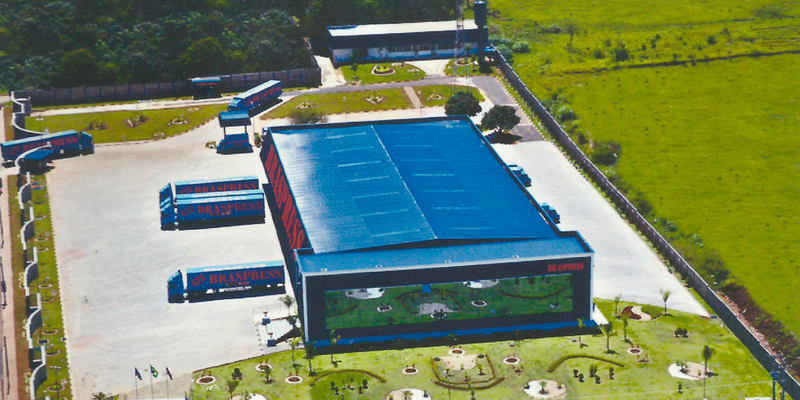 Nicknamed “Planeta Azul” (Blue Planet), with a total area of 230,000 square meters, it is located in Guarulhos, in the state of São Paulo, alongside the Presidente Dutra Highway - the busiest road corridor in Brazil - and close to André Franco Montoro International Airport. 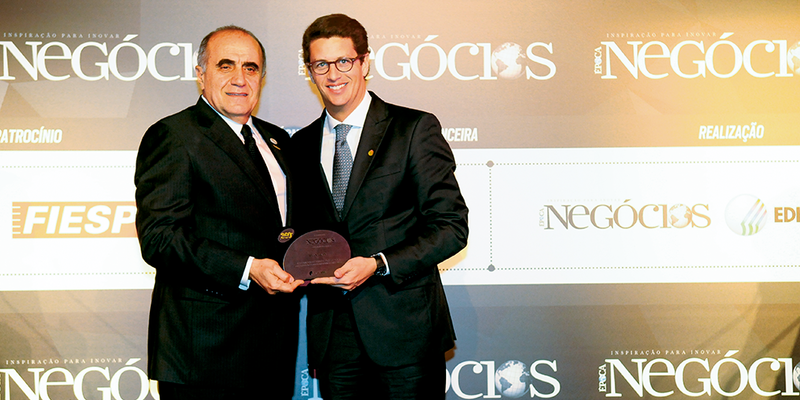 The company is appointed champion in the transportation sector in Época Negócios 360º Yearbook, by Editora Globo Publishing, ranking among the country’s 300 top companies. 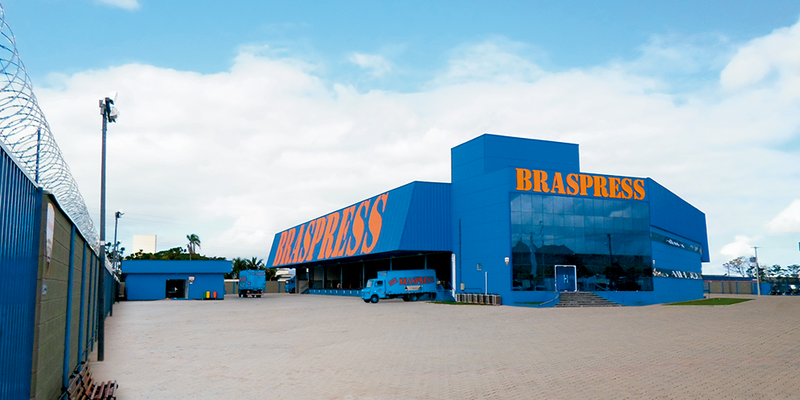 BRASPRESS carries out the first shipment to Argentina and starts to operate in Paraguay.